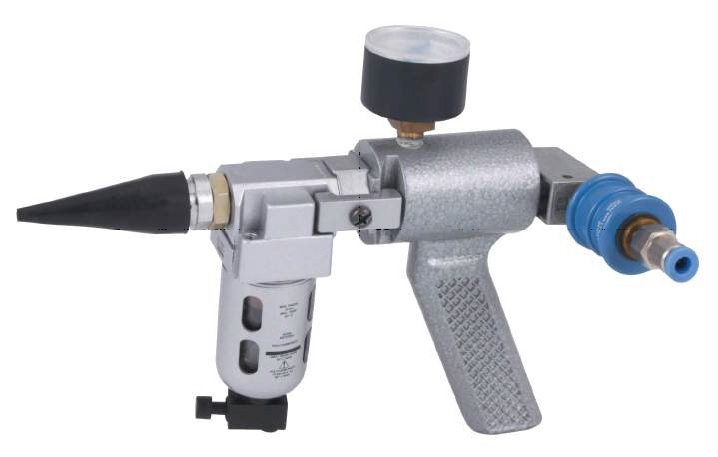 Find leaking heat exchangers tubes quickly and easy with the TP0631 Tube Testing Gun Set. It reveals even the smallest tube leak (pinholes). With the Tube Testing Gun Set, you can pneumatically test from 3 to 10 tubes per minute, all with significantly less operator fatigue and greater operator safety. The set comes complete with three rod and tube assemblies to test tubes from 7,2 to 32,5 mm ID. Interchangeable Seal and Washer Sets: allows testing of tubes from 7,2 to 32,5 mm ID. Compact and light weight: each gun weighs less than 1kg. Uses standard plant air (or gas) supplies from 2,7 to 8,5 bar. Standard seal material: neoprene (alternative materials on request). Seal holders and washers are made of Stainless Steel to prevent corrosion. No leakage after changing the Seal and Washer sets due to the unique sealing element of the seal holders. All thread connections are metric or BSP, through which debris and other impurities can be removed easily.